Maybe you’ve heard a little bit about holistic dentistry, but chances are some unknowns still remain. If that’s the case, your holistic dentist in Southlake is in with answers to some of the most common questions surrounding the practice. Keep reading to learn more about how you can benefit from holistic dentistry with Dr. Preetha Thomas today! Q: What is holistic dentistry? A: It’s a broad question, but pretty easy to answer succinctly. 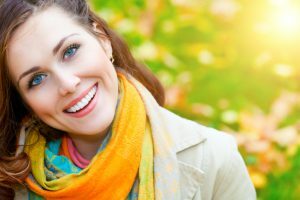 Holistic dentistry is that which takes your whole body into account while treating your teeth, rather than just focusing on the oral and facial structures. For example, at Enclave Dentistry, our team focuses on the underlying issues that may be affecting the patient’s mouth, and treating those issues first. Holistic dentistry is about fixing the problem, rather than masking the symptoms. Q: What makes holistic dentistry different from the traditional kind? A: At Enclave Dentistry, as with other holistic dentistry practices, your oral health is always the number one priority — but unlike the norm in traditional dentistry, we also take into account your overall wellbeing. That means we use materials that have been proven to be completely safe for you, so no fluoride, mercury or other potentially harmful materials… ever. 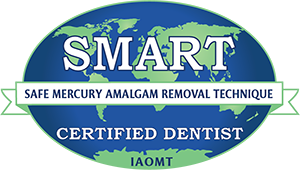 We make sure that if and when mercury fillings are removed you are kept safe by following IAOMT protocol. Often times patients are referred to us by their physicians and we work with them to help you. Q: Wait — what’s that about mercury? A: One of the most significant differences between traditional dentistry and holistic care is that your holistic dentist only uses biocompatible materials — and that means we’ll never use metal, mercury or any other harmful materials. 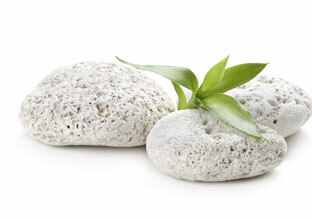 Instead, we use tooth-colored, all-natural, BPA-free composite resin to restore your tooth after a cavity. With this solution, there’s no danger of mercury exposure, and more of your natural tooth structure stays intact. Q: How can I benefit from holistic dentistry? A: Holistic dentistry can benefit patients in a number of ways, and it would be impossible to list every single one. The main thing to note is that holistic dentistry can improve your overall health while simultaneously strengthening your oral health. For example, at Enclave Dentistry, you’ll enjoy the relaxing, spa-like environment we’ve carefully cultivated — and you’ll certainly benefit from our comprehensive services, too. Whether it’s a general checkup or a dazzling cosmetic treatment you desire, our practice offers a range of options to meet all your needs. No two people are the same and we certainly do not have a one-size-fits-all approach. We spend time with you to listen to your concerns and create a treatment plan that works best for you. While health is important, we also care about your dazzling smile. So if cosmetic treatment is what you need, our practice offers those options to meet your needs as well. Q: Is Enclave Dentistry accepting new patients? A: Great question! Yes, we are currently accepting new patients. Find out what the buzz on holistic dentistry is all about — call us to book your appointment with Dr. Thomas and her team today, or request a visit online.